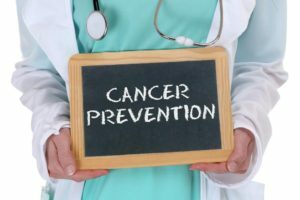 Cancer Moonshot is a new initiative led by Vice President Joe Biden that aims to make additional therapies available to more patients, while also improving prevention and early detection. The program, which was announced during President Obama’s 2016 State of the Union address, has organized a Blue Ribbon Panel of scientists to collaborate on solutions to the initiative’s goals. The team has released their report and is addressing a population close to the mission of ThinkGenetic; individuals with Lynch syndrome. Lynch syndrome impacts an estimated 1 million people in the United States. The syndrome runs in families and is the most common cause of hereditary colon cancer. People with a genetic change in the gene associated with Lynch syndrome have an increased risk for certain types of cancer, including colorectal, uterine, ovarian, and stomach cancers. Individuals like Carrie Grindle-Lyons who live with Lynch syndrome recognize the importance of early diagnosis and education on the syndrome. Have you or a loved one been diagnosed with Lynch syndrome? Share your story or find answers to your questions at ThinkGenetic.com.